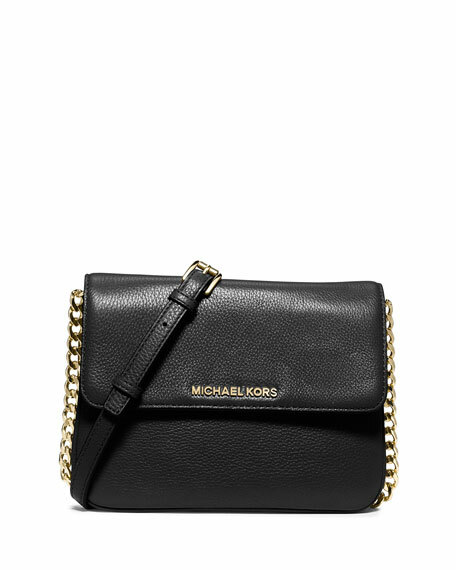 MICHAEL Michael Kors soft venus leather crossbody. Adjustable chain shoulder strap; 24.5" drop. Flap top with logo plate. 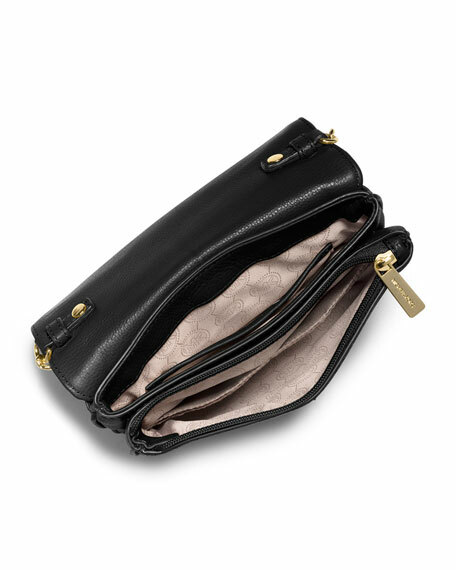 Inside: zip and open compartments; multiple open pockets. 5.8"H x 8.5"W x 0.8"D.
For in-store inquiries, use sku #215131.